I love reading Chicken Soup for the Soul books because I can just pick them up and read a story or two depending what I have time for without feeling like I have to finish the book in one sitting. I love reading stories of divine interventions and answered prayers. They give me so much hope to hear of people prayers being answered. I also had a sense of peace when reading some of the stories. I have been inspired but the stories I have been reading in this book. 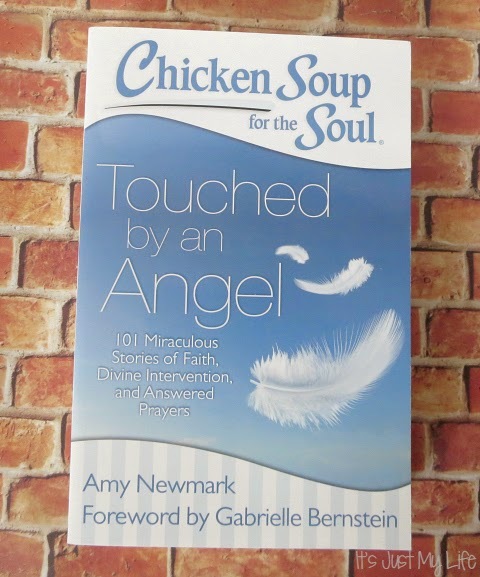 If you are looking for a gift that provides encouragement to someone in your life than Chicken Soup for the Soul - Touched by an Angel 101 Miraculous Stories of Faith, Divine Intervention, And Answered Prayers, composed by Amy Newmark with a foreward by Gabrielle Bernstien is the book to give to them.